Lena Nyadbi has painted at Warmun Art Centre since 1998, and has developed an international reputation as an original and dynamic painter. 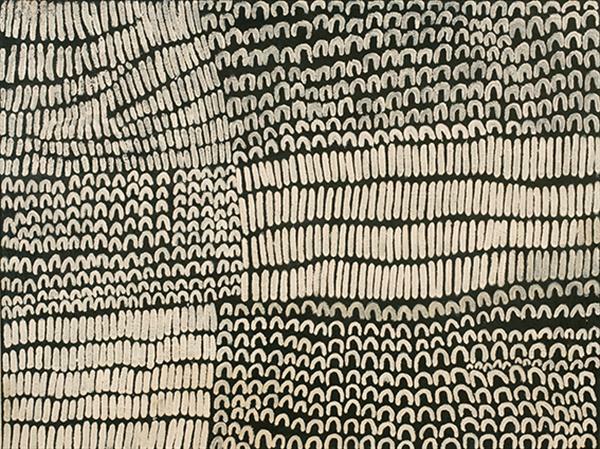 Lena spent many years watching and learning from some well-known Warmun artists who have now passed away, in particular Paddy Jaminji, who taught her the techniques of grinding ochre and charcoal, and of rubbing the charcoal into the canvas with her hands. In 2006, Lena was one of eight Indigenous artists from Australia featured in the Musée du Quai Branly project in Paris, which involved reproducing her work onto the façade of the building. This relationship continued in 2013 when Lena’s Dayiwool Lirlmim was recreated large scale on the rooftop of the museum where it is now visible from atop the Eiffel Tower. Lena was born at Warnmarnjooloogoon Lagoon (near Greenvale Station) and grew up in Thildoowam country, also known as Old Lissadell Station. Like other Aboriginal people living in the East Kimberley at this time, Lena was put to work on the station at an early age under conditions akin to indentured labour. Here she worked a wide range of jobs including mustering cattle, milking the cows and general station duties. Lena moved to the new Lissadell Station when it was relocated due to the development of Lake Argyle, and is brimming with memories from this period of dispossession when the water began to cover her Country. Lena paints two principal Dreamings; Jimbirla and Dayiwool Lirlmim. Jimbirla are the sharp quartz-like stones used by Gija people in the past to make spear tips. These are found in abundance in Nyadbi’s father’s country, which lies to the north of Warmun. 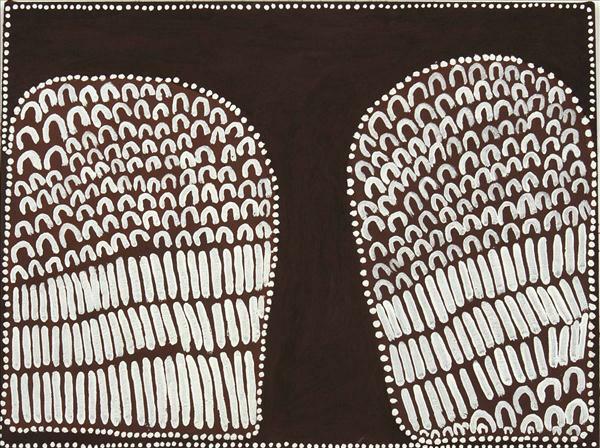 Dayiwool Lirlmim are the scales that scraped off the Ngarranggarni (Dreaming) barramundi as she jumped through a range of hills escaping from the spinifex nets of women who were trying to catch her. The gap her body made in the rock is the current site of the Argyle Diamond Mine and the diamonds are her scales. Lena paints, what she describes as, her ‘poor bugger country’ on canvas while mining physically renders what were once mountains into plains.